Becker College is located in central Massachusetts, with campuses in both Worcester and Leicester. 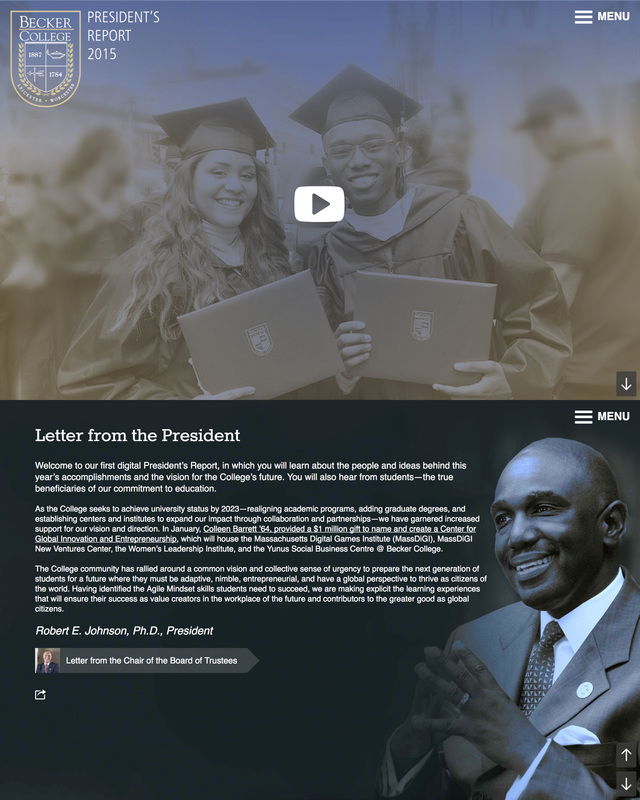 Each year, Becker College president Dr. Robert E. Johnson releases a report to highlight student achievement and the college’s vision for the future. 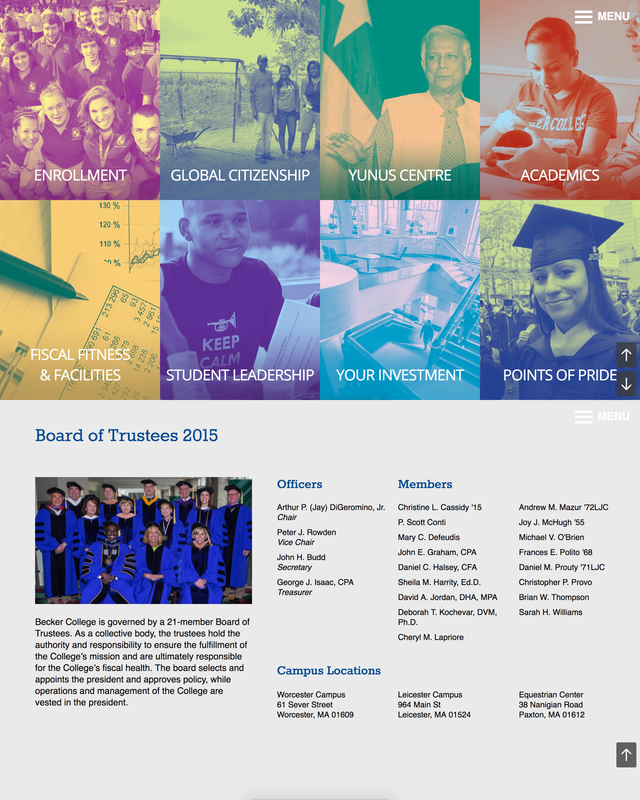 In 2015, he decided to transition from a printed report to a fully interactive, mobile-friendly online report. 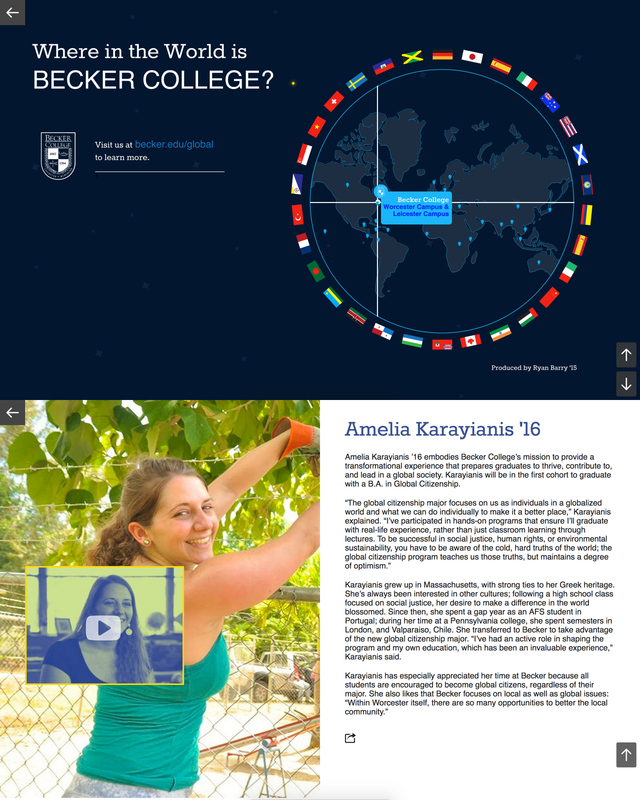 We teamed up with Becker College to deliver this engaging online experience.